Johnson and Johnson recently announced that it was halting a clinical trial for a new Alzheimer’s drug after safety issues emerged. This latest failure adds to the dozens of large, costly clinical trials that have shown no effect in treating this devastating disease. The growing list of failures should give us pause for thought – have we got the causes of Alzheimer’s all wrong? In the first analysis of the disease, the German physician, Alois Alzheimer, noted odd changes in the brain of a patient who died of the condition. Alzheimer identified two kinds of protein aggregates that are not found in younger brains: plaques that are found between brain cells and tangles that are found inside brain cells. Later research identified the proteins that made up the plaques as amyloid and those that form the tangles as tau. What these structures actually do is still under debate. Alzheimer advised scientists not to jump to the conclusion that these proteins caused the disease. Unfortunately, his caution was ignored, and over the years it has become gospel that the build up of these proteins causes Alzheimer’s disease. One problem is that it’s not possible to test, in a scientific experiment, if this theory is correct. Only in recent years has technology been developed that can test what these proteins do, and it is clearly not what scientists previously assumed. For example, genetically engineered mice that accumulate human amyloid in their brains show only mild impairment. But the pharmaceutical industry made up its mind a long time ago that amyloid is the culprit, and this has been the target for Alzheimer’s drugs ever since. The aim of these drugs is to reduce the levels of amyloid in the brain, either by slowing down the formation of amyloid or by removing it from the brain. Both approaches have been tested many times now using different techniques and drug types. None of these trials have shown any effects, and some large drug companies, including Pfizer, have abandoned this area of research altogether. The continued failure of new drugs to make a difference has to be interpreted as evidence that the amyloid protein is not the cause of Alzheimer’s disease. Some companies have changed their target to the tau protein. But again, drugs companies are assuming that a single protein is the cause of the disease. Perhaps it is time to rethink the disease altogether. One approach is to look for genes that increase the risk of developing the disease. The problem with this approach is that there are surprisingly few of these genes, and they are rare. Alzheimer’s does not appear to be driven by gene mutations, so this approach does not shed new light on the underlying processes. Another option is to look at the risk factors for developing Alzheimer’s. One of these is type 2 diabetes. Clearly, diabetes is very different from Alzheimer’s disease, so what’s the connection? In diabetes, insulin becomes less effective at controlling blood sugar levels. But insulin does a lot more than just control blood sugar; it is a “growth factor”. Neurons (brain cells) are very dependent on growth factors, and if they don’t get enough, they die. When looking at brain tissue taken from deceased Alzheimer’s patients, researchers found that insulin lost its effectiveness as a growth factor, even in people who were not diabetic. This observation suggests that diabetes drugs might be an effective treatment for people with Alzheimer’s. Some experiments showed impressive results in animal studies, and several clinical trials have started. 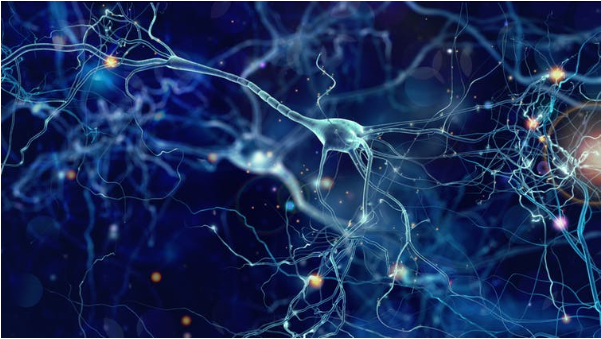 Testing these drugs in animal models of another neurodegenerative disorder, Parkinson’s disease, also showed impressive effects, and two clinical trials in Parkinson’s patients showed good protective effects. In one of the trials – a pilot study – the patients who received the diabetes drug did not get any worse for two years while the control group, who received a standard treatment for Parkinson’s, deteriorated significantly. The other trial, a larger trial with a placebo control, confirmed this result and showed no deterioration in the drug group during the 12 months of study. To see any protective effect in the brain in a clinical trial is completely new, and it supports the new theory that Alzheimer’s and Parkinson’s disease are caused, at least in part, by a lack of growth factor activity in the brain. These new theories bring a fresh view on how these diseases develop and increase the likelihood of developing a drug treatment that makes a difference.